Wii Virtual Console is back! It seems like forever since we last got a Virtual Console game on Wii, but the service is back from the dead with a new Super Nintendo title from Ubisoft. Not only that, there's a Game Boy Color game too. Let's get to it. 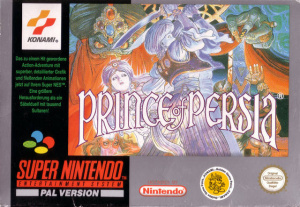 Prince of Persia (Super NES, Ubisoft, 800pts) — The rather good Super Nintendo version of Jordan Mechner's classic adventure game finally comes to the Wii. Look for our upcoming review to see if it's still worth the money. 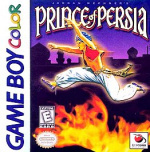 Prince of Persia (Game Boy Color, Ubisoft, £4.50/€5) — What? Two PoP games in one week? Such is the generosity of Nintendo and Ubisoft, as the GBC version comes to Europe. Can it justify its £4.50 price tag? We'll let you know. Resident Evil Revelations (Capcom, free) — A free trial of next week's big 3DS game. Who can resist? Cooking Mama 4 (505 Games, free) — And a slightly less exciting — but still welcome — tasting menu for Mama's 3D cooking adventures. 40-in-1 Explosive Megamix (Nordcurrent, 800pts) — Another compendium from Nordcurrent, can it improve on the publisher's previous DSiWare output? We'll tell you with our review, coming soon. Come On! Heroes (CIRCLE Entertainment, 200pts) — Another game from the studio that loves the word "heroes", CIRCLE's action game isn't a bad way to spend 200 Points, as our Come On! 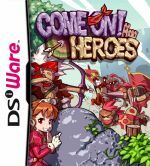 Heroes review explains. Will you be picking up either of this week's Virtual Console offerings? Prince of Persia on the SNES is an absolutely fantastic game, as tough as old boots though! The PAL boxart is really dreadful, I had the Japanese version back in the days. How much better does this look? Wow holy crap! Did hell just freeze over? I never had the chance to play the Snes version of POP. Just the original PC game and the awesome sands of time series. This should be a neat experience! Did I actually just read "Wii VC" in a Nintendo Downloads article? I'm not presently under the influence of any substance (I don't think...). I hope Trollestia isn't pulling our manes by posing as James. I guess my cries for Castlevania: Bloodlines & Contra: Hard Corps can now resume! @Dazza: Actually, the one in the news post is the US one, this is the EU one. Awesome, this is exactly how it is supposed to be all the time. Pow pow - console and handheld same game releases - bam. Only Nintendo can do this to a wide audience and this is Nintendo's edge, one of them. Should do it really often. Virtual console! It lives again! "More thrills than a saber duel with a thousand sultans!" Man that's good box art copy. Wasn't the SNES version formerly published by Konami? I'm quite pleased we're getting Wii VC and another GBC game. But I'm just not interested in Prince of Persia. Yes but Jordan Mechner and Ubisoft own the Prince of Persia IP. i would have thought konami would still need to agree to ubisoft for putting the PoP games up, i`d assume konami would still own the rights to the game code unless ubisoft bought them. anyway, it`s nice to see that VC has risen from the dead, lets hope that this isn`t just a one off. I think that SNES version of Prince of Persia is the best! Hopefully they keep coming and this just isn't a one off. I'm going to download this just to support the VC! Finally, a VC game... I hope this means the wii VC is coming back to life. thank you nintendo of europe!! prince of persia is one of the best games ever. hopefully with more people downloading it, it will help persuade nintendo to put out more and more games on the V.C service. Wasn't the SNES POP an unlockable in Forgotten Sands? Hmm, a double-dose of Prince of Persia! It's not my series, mind, but it's nice to see the Wii's VC finally get something new and interesting. @taffy: They announced that it would be in there, but in the end it was the original Apple II version instead, for some reason. PoP SNES is best PoP. Definitely a must and hope America gets it too. Never played the GBC version. Is it a port of the DOS original? Wait, shouldn't the title be January 16th? 19th is for NA. Good job Ubisoft, but please consider releasing Rayman 2: The Great Escape as well for Wii VC. Never thought I'd live to see the day! Maybe they'll even release MM5 and MMX soon. Then I can finally rest easy! I see Sparkster on that packshot. Greediness ensues. Nice to see the VC show a little life after so many months of nothing. Maybe theres hope for some Neo Geo games. It's hard for me to not buy both. No resi evil revelation demo this week? I don't care for the Prince of Persia games but its good to see the Wii vc has finally returned. I don't care for PoP either, but it's good that we seemingly have the VC back. Now can we have Monster World IV please? Haven't yet played the the newer PoP games (Sands of Time, etc.) but loved the original PC and its various incarnations. That animation was a glorious thing back in the day. This is awesome, I'm getting this! Now if we could get more Arcade love with Teenage Mutant Ninja Turtles 1 & 2, X-Men, Stryder and others. I haven't payed PoP since the original PC game, whats the difference between these two versions? @paburrows: Wikipedia says the following: "Aside from graphic and aural enhancements, the game has twenty levels instead of the original's thirteen; the original levels that remain have some extra rooms or different routes. Also, there are boss battles that involve not only swordfighting but dodging as well. Unlike other versions, the player is given two hours to rescue the Princess." A new Wii Virtual Console game!? The only possible complaint about this update is the lack of WiiWare, pushing the queue back for some of these long-awaited games which appear to finally be getting close to release. About time. Hopefully the US will follow suit. This has to be another sign that the world is indeed ending in 2012. How many months have been since the last VC wii game? P.D. If I have my PoP in my GC Sands of Time and in my Wii Forgotten Sands does it deserves a download? What differences are between SNES version and GBC version? Can I get an hallelujah? And a good game to. Is this a one off or the start of a Virtual Console renaissance? Awesome news! And this is Ubisoft's first VC game, if I'm not mistaken. Other than their N64 games, what else could they release? Here's hoping this comes to NA on Thursday. Since when did the Wii get a Virtual Console? Nintendo is starting to run out of popular 1st party games though. Star Fox, Yoshi's Island (the only Super Mario game that is missing, I think), Mario Party 3, MAYBE Mother 1 (Earthbound will never happen). I would like to see a remake of Duck Hunt with pointer controls even if it costs more then 500 points. I wouldn't mind seeing Mario Paint on Wii U VC or something. "Maybe Starfox, but definitely not earthbound... D':"
Not Star Fox either. Star Fox has a special graphics chip in the cartridge, which Nintendo has never bothered to emulate. That's also why Yoshi's Island has never been released on the Wii Virtual Console. If they were going to emulate that chip, they would have done it a long time ago. A Wii VC game? I almost forgot that service existed. Hopefully NA gets it too but I'm keeping my expectations pretty low right now. SNES PoP was an excellent game. Quite faithful to the original PC version, with extra levels that are fiendishly hard and from memory, an improved boss battle. It was at least a 9/10 in its day. Please let Prince of Persia come out on the North America Virtual Console. I will buy it and play it. I have 800 points ready to spend. Excellent news. I've lost all interest in the franchise since its reboot in 2001 (? ), but I'll be downloading both the SNES/GBC versions as I've always had a soft spot for the original game. I lost many an hour to the Super Famicom version of Prince of Persia, yet never beat it properly. I know this time I'll do more of the same! Nice that Nintendo UK's website is promoting every digital release EXCEPT the Wii VC one. Just like it FAILED TO MENTION the last EU VC release that came onto the service half a year ago! Does it want people to be aware that this service even exists? A new Wii VC game? Finally after a few months! Maybe Nintendo made an accident, & woke the Wii VC up. It was never "dead", in a sense, as the servers never died, they just got static, & stale; un-updated. @90 (Pj1) When the EU Wii shop gets new games, they're not normally added on until 12am Thursday night/Friday morning UK time. Try again after midnight or tommorow. is there blood in this version,because i remember there was in the japanese version but wasnt in the original pal version? wow, this takes me back. I had this way back and it was one of the first import games I played. Tough as nails but the animation was so nice to look at for it's time. I always thought that the SNES movement didn't gel as well as the pc version, but it might have something to do with PAL.